Gardens have featured among the environments Naomi Miller has studied, notably her 1989 SAA Panel with the author, “The Archaeology of Garden and Field,” which became a special issue of Expedition Magazine (Miller and Gleason 1990) then an edited book, The Archaeology of Garden and Field (Miller and Gleason 1994). 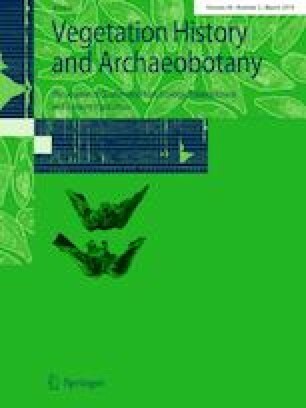 It is an honour to contribute to this publication in recognition of her 2017 Fryxell Award for lifetime contributions to palaeoethnobotany and landscape archaeology. The studies at the Villa Arianna took place with the kind permission of Massimo Osanna of the Soprintendenza Archeologica di Pompei (now the Parco Archeologico di Pompei) and Thomas Noble Howe of the Restoring Ancient Stabiae Foundation (RAS). The garden archaeology team from the Cornell Institute for Archaeology & Material Studies (CIAMS) worked under the aegis of the RAS. Support for the project was provided by the Hirsch Fund for Archaeology and the Department of Landscape Architecture at Cornell University. The project is part of the Horti Stabiani Database Project to record the known gardens at Stabiae, and the “Le jardin e son archeologie” project with Amina-Aïcha Malek (CNRS/Paris) through a PICS grant for international collaboration. Parks and Imperial Fora of Ancient Rome seminar at Cornell contributed significantly to interpretation: notably, Elizabeth Knox and David Ffrench on pruning techniques and terminology, and Kaja Tally-Schumacher and Nils Niemeier on interpretation of garden paintings (Tally-Schumacher & Niemeier 2016; Niemeier and Tally-Schumacher 2017). This paper has benefited from fruitful discussions with Amina-Aïcha Malek, Michele Palmer, Nicholas Purcell, Bettina Bergman, Lena Langren, and Dafna Langgut, as well as feedback from the anonymous reviewers. The drawings have been prepared by the author unless otherwise noted.